A “mañana culture” which constantly promises action tomorrow is preventing data analytics being used to drive immediate healthcare improvements, said Dr Ben Goldacre at the Digital Health Rewired conference. “We don’t do analytics as well as we should, as well as we could,” he told delegates in his keynote speech at London’s Olympia yesterday. The author of Bad Science and Bad Pharma argued that too much resource was allocated to academic work such as trials and cohort studies, but there was a “snootiness around implementation”. This, he argued, was not the best way “to spend public resources in using data to spot and fix problems” in healthcare. “It creates bad incentives and handwaving statements about how we’re going to have an impact on patient care at some vague point in the future,” he insisted. Although Goldacre is well-known for his evangelical stance against inaccurate infographics, he argued “the worst kind of graphs are the ones that are never made at all” due to secrecy around data. “Some great analytics work is done, but we’re not allowed to see it,” he said. Goldacre cited Model Hospital, the flagship variation in care tool which came out of the Carter Review, as an example, which he said was “done entirely behind closed doors”. The Academic Health Science Networks (AHSNs) and Commissioning Support Units (CSUs) were “doing absolutely fantastic analytic work, but I’m not allowed to see any of it; almost none of it is documented,” he continued. He also raised concerns about the outsourcing of data analysis for initiatives such as Modern Hospital and Getting it Right First Time (GIRFT), the UK’s programme to reduce variation in care. “Outsourcing your analytics is like outsourcing your central nervous system. It’s an insane thing to do, but it has become the norm,” he said. Contrary to popular belief, the lack of openness around health data was not caused by technical barriers, Goldacre said. “Every single blockage we encounter is a cultural barrier. The data exists and it’s ready for use, but we’re not allowed to touch it, or its shared badly,” he said. Over the past six years, he speculated that a large increase in the NHS secondary care prescribing budget, was likely to have caused “variation in safety and quality”, but said the medicines data used by hospitals to analyse their benchmarking, was not openly shared. Goldacre, who chairs the UK Healthtech advisory board, called instead for “open standards, open teaching, open documentation, open sharing, open funding and open regulations”. There can be a nervousness around the sharing of data analytics, due to “problems in how the state has given feedback”, Goldacre said. He referred to a Care Quality Commission press release which labelled one in six GP practices as “failing” based on their standard prescribing measures, as “an inappropriate way to manage data”. This finger-pointing approach, he said, resulted from a lack of “an ingrained culture of understanding the best ways to do openness and sharing”. Goldacre gave DataLab’s free tool, OpenPrescribing, as an example of how insight into data could be used to drive immediate changes in patient care without it “being a stick to beat you with”. 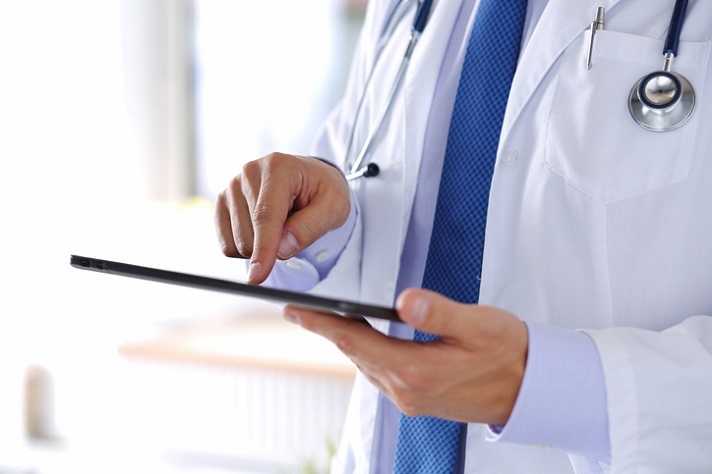 The open tool makes it easier to access NHS England data on drugs prescribed by GPs and can be used to inform actions such as sending automatic warning emails to practices which are systematically slower to implement changes in prescribing than their peers. “This is seeing into the mind of medicine, into the minds of the 80,000 doctors in the country and what they prescribe,” said Goldacre.